A FIRST CLASS EVENT! 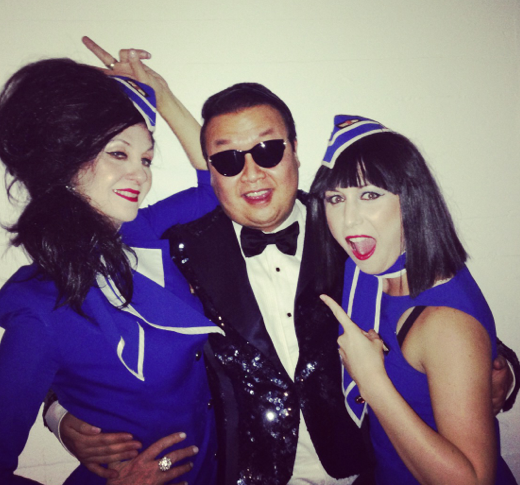 Inflight entertainment has never been this good as your own company flight attendants Judy Free, Lyn Flight-Service and Myles High resplendent in your own company uniform turn your event into an unforgettable mystery flight. 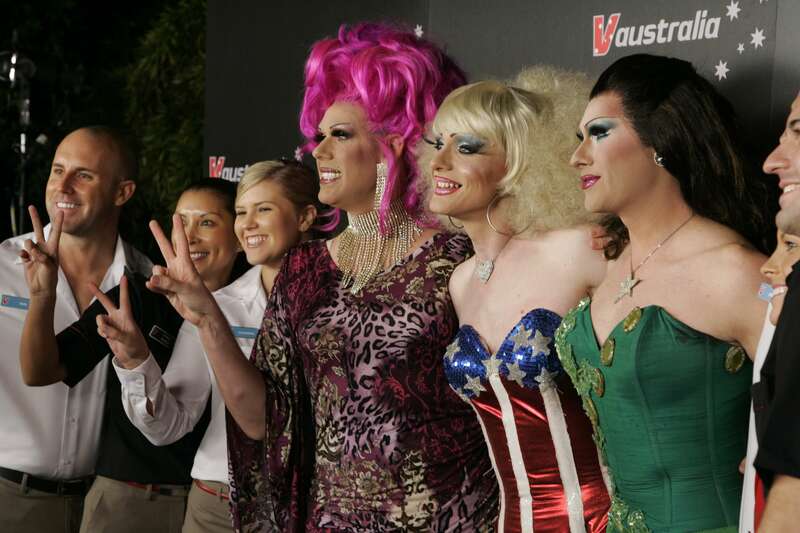 Buckle up and assume the crash position as QF’s Bernadette, Miss Virgin and Julie Jetstar appear from cargo and guide your V.I.P. passengers through a comical boarding call with upgrades, downgrades and hilarious safety demonstration all on your own private jet. 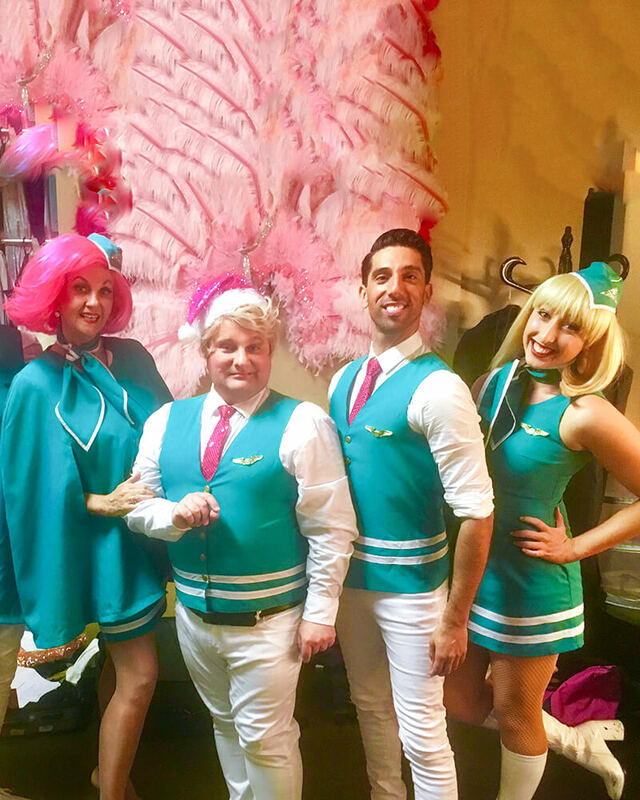 A turbulant landing of smokin’ hot songs such as Come Fly with Me, Survivor, Like a Virgin and I Love the Flightlife makes this flying first class entertainment for any event. 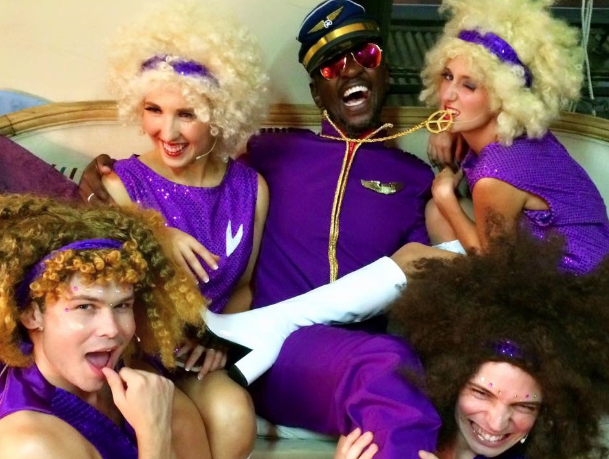 COME FLY WITH ME! 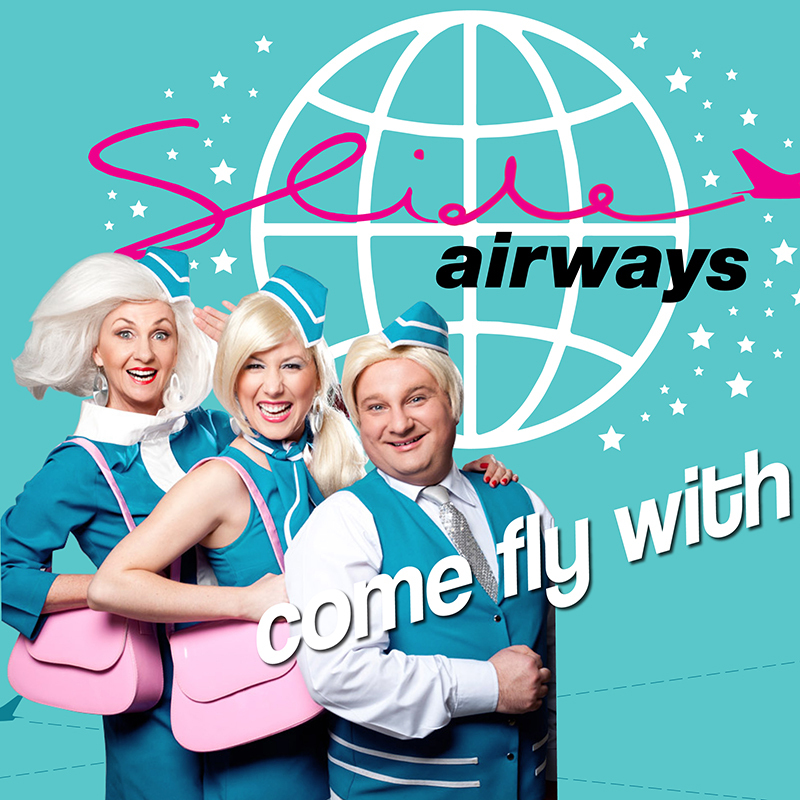 Specially tailored in flight guests can be on board such as Susan Boyle Shirley Bassey or Gina Rinehart. 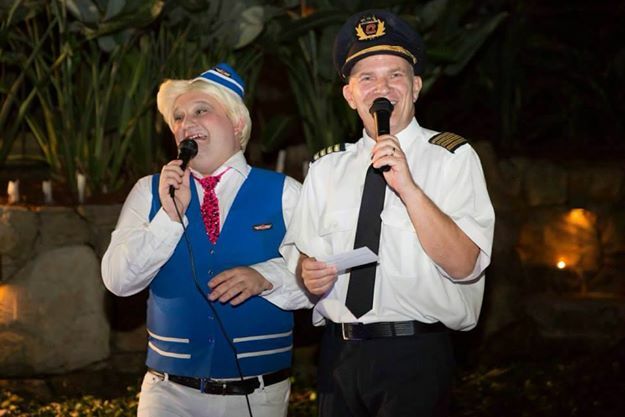 Available as a 20 minute show or a full night’s themed entertainment.Flight attendants are also available for roving and the show is perfect for gala dinners, award nights, product launches and cocktail parties. “You girls are fantastic. 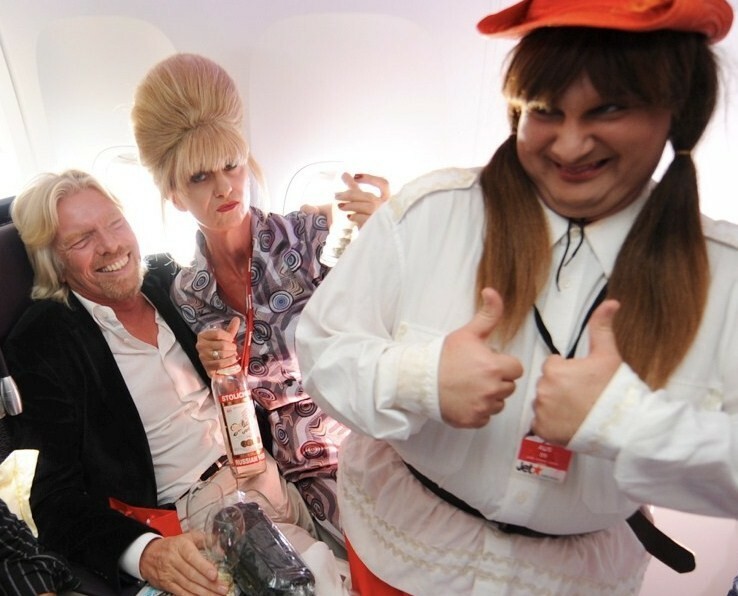 I want you all to come and fly with V Australia!” Richard Branson, V Australia inaugural flight, Sydney – Los Angeles.